While California is the top U.S. state for patents, Apple ranks behind IBM, Samsung and Intel in total patents issued last year according to a study and is therefore less innovative — but the examination is using questionable metrics to make that conclusion. In honor of the awarding of the 10 millionth patent in June, an industrial equipment firm called Kempler Industries has released a set of statistics on the best places and companies for patent innovation. Apple ranks surprisingly low, but that's likely due to a methodology that values all patents issued equally. According to the study, called Innovation Around the World: Where Patents Come to Life, California is #1 on the list of U.S. states with the highest number of patents per capita in the last five years, followed by Massachusetts, Washington and Minnesota. Last on the list is Mississippi, followed by Alaska and West Virginia. In terms of countries' patents per capita, also in the last five years, the U.S. is third, behind Taiwan and Israel. 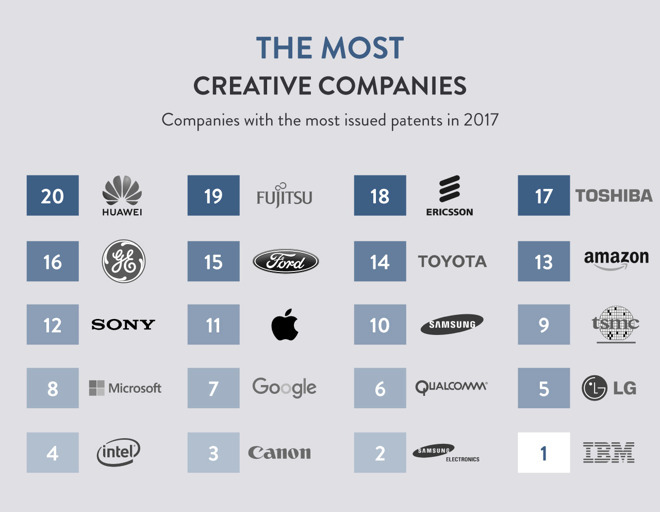 In terms of "the most creative companies" — defined by Kempler as the companies that were issued the most patents in the year 2017 — Apple comes in 11th. IBM is first, with Apple suppliers Intel, LG, Qualcomm, and TSMC all ranking ahead of it. Samsung is also ahead of Apple on the rankings twice, listed as both Samsung and Samsung Electronics. The sheer volume of patents granted to a company isn't a particularly useful way of ranking that company's level of innovation or creativity. Not all patents are of equal value or impact, and not all, or even most of them, even end up as part of products. 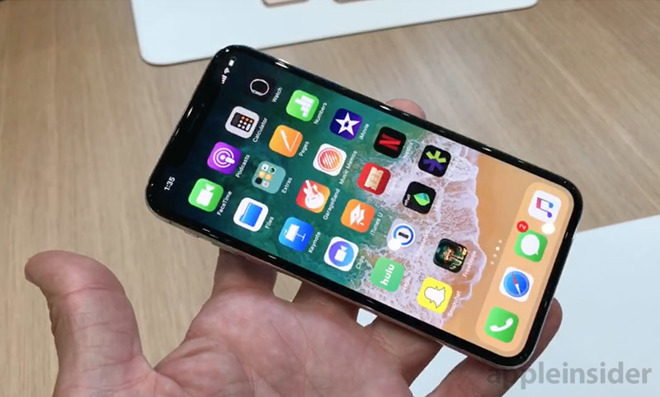 Also, a spot check performed by AppleInsider found a significant volume of the patents issued to IBM and other firms covering the same invention, with minor permutations of the titles and contents to differentiate the inventions. The study does not assess the utility of the patents, nor their use in shipping products.